Katsushika Hokusai, the artist behind the The Great Wave Off Kanagawa—a painting so famous it even has its own emoji—now has a museum dedicated to his work. The Sumida Hokusai Museum in Tokyo opened in November last year and was designed by Japanese architect Kazuyo Sejima, co-founder of SANAA. Inside, more than 18,000 works from Hokusai and his protégés are on display. On the outside, however, a reflective aluminum skin wraps around the entire structure, dampening its monolithic form. The aluminum facade comprises an arrangement of angled panels. This formation allows the museum entrance to remain ambiguous and relatively undefined. Meanwhile, angled cuts through the building also soften the form's presence while serving as a way of allowing daylight in—the museum has no directly outward facing windows. In addition to letting light in, the angular voids also provide views out. Museum-goers can enjoy vistas of Japan's capital city from within when on the upper levels. Walkways and programming too are defined by these incisions. As part of the brief, Sejima was asked to design a museum that appealed to both tourists and locals. Hokusai lived in the region of Sumida, Edo (now known as Tokyo) roughly 200 years ago. The museum dedicated to his work and legacy resides in the same area—hence its name. The Pritzker Prize–winning architect's five-story building not only holds close to 20,000 works but, includes seminar, lecture, and workshop spaces, as well as a research center. This program is a bid to broaden the scope of Hokusai's work, making it accessible to a wider audience and cementing his status within the art world. 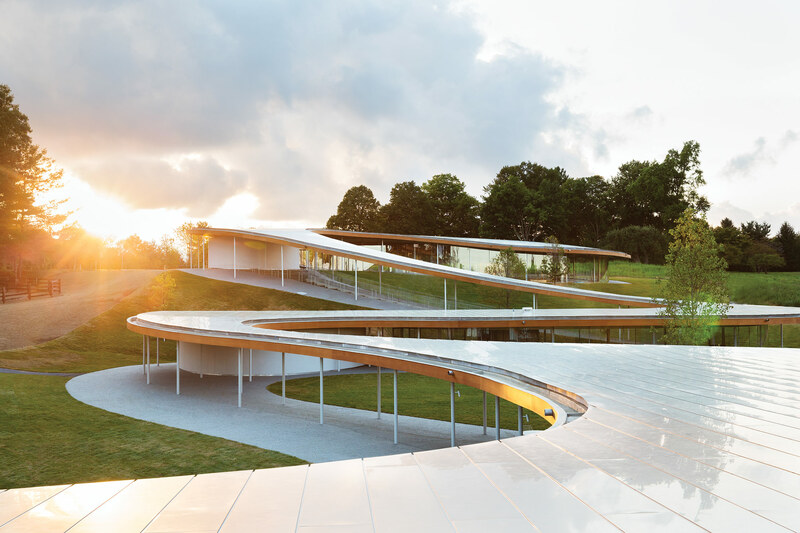 The River, SANAA’s undulating creation for Grace Farms, seeks to marry the nature of its 80-acre New England estate with architecture in an effort to foster the formation of intentional communities that collaborate for good. 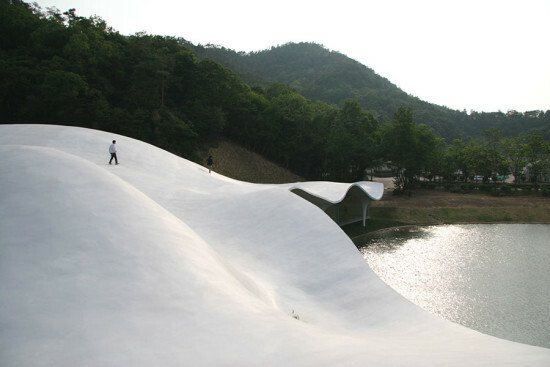 Made with 203 individually curved glass panels and an anodized aluminum roof, the River’s unusual form follows the property’s natural slope and blends seamlessly into the landscape. 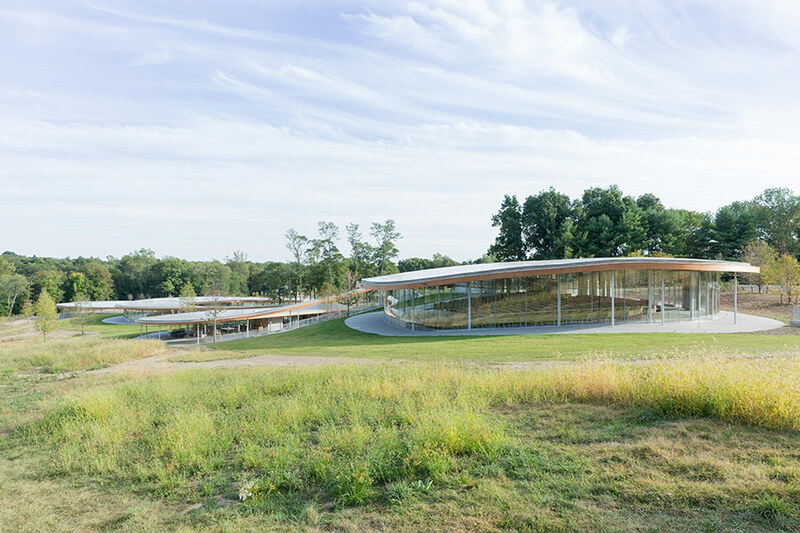 Guided by Grace Farms’ dedicated programming in the areas of nature, arts, justice, community, and faith, the structure weaves together five enclosed volumes: an amphitheater-style sanctuary; a library; a commons dining room with tables hewn from trees felled on site; a tea pavilion; and a partially submerged, multipurpose court. As the first net-zero energy school in New York City and among the first worldwide, the Kathleen Grimm School exposes structural elements to celebrate its energy efficiency and foster environmental consciousness and awareness in all building users. Star Apartments by Michael Maltzan, Los Angeles, California, U.S.
Stan Allen, MCHAP Jury President, said in a press release, "As a jury, we were looking not only for buildings of exceptional quality, but also for buildings that contribute something new to the discipline. We were very impressed by the high quality of the work coming from such a wide variety of cultures. There may be a global architecture culture today, but each place we visited had its own identity and every project responded to a specific context. As a jury we also observed common themes: All of the projects, even those in urban areas, engage with landscape; they all embrace architecture as a force for change; and finally, all of them find a delicate balance between innovation and the history of the discipline." While SANAA took the main prize, Tommy Kyung-Tae Nam and Yun Yun from the Taubman College of Architecture and Urban Planning at the University of Michigan were announced as winners of the recently established student award. Nam and Yun claimed the Taubman College Burton L. Kampner Memorial Award for their (a)typical office project which was developed with the guidance of Faculty Advisor Adam Fure. A Japanese Constellation: Toyo Ito, SANAA, and Beyond Museum of Modern Art 11 West 53rd Street, New York From March 13–July 31, 2016 Boasting models, drawings, and images of over 40 architectural designs, A Japanese Constellation seeks to display the prominence and impact of Pritzker Prize winners Toyo Ito and SANAA and the effect they have had on Japanese design since the 1990s. This is reflected through film and imagery projected onto translucent curtains used to articulate an intersectional spatial arrangement within the exhibition. The feature reflects how Ito’s influence permeates through the works of contemporary Japanese designers such as Sou Fujimoto, Akihisa Hirata, Junya Ishigami, Ryue Nishizawa, and Kazuyo Sejima. 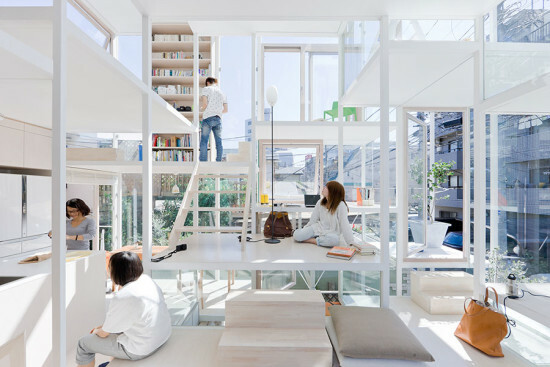 Many of the featured architects have played a part in the changing face of Japan’s architecture since the 2011 earthquake. The exhibition highlights 44 designs, from small houses to museums, which display the innovation and cross-pollination evident in contemporary architecture. Bjarke Ingels Group (BIG) is unveiling high-profile projects at an unprecedented rate. 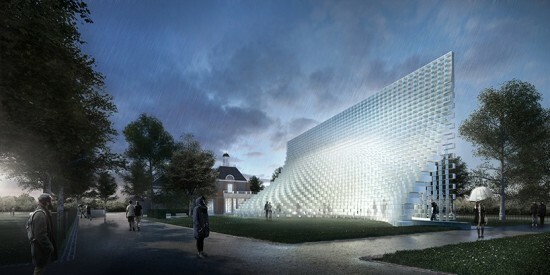 The Copenhagen- and New York–based firm today released the rendering for its Serpentine Pavilion in London’s Kensington Gardens. The “un-zipped wall” features fiberglass, brick-like elements that pull apart to form space for visitors to stroll through. The design is more linear than most past Serpentines. https://www.youtube.com/watch?v=_wb_zuxSzQE "As you can see from the architect's renders, Bjarke Ingels has responded to the brief for a multipurpose pavilion with a supremely elegant structure that is both curvaceous wall and soaring spire, that will surely serve as a beacon – drawing visitors across Hyde Park and Kensington Gardens to visit the pavilion, the summerhouses and our major exhibitions by Alex Katz and Etel Adnan," said gallery directors Julia Peyton-Jones and Hans Ulrich Obrist in a statement. Four the first time, the pavilion will be complemented by four summer houses. Those will be designed by Berlin architects Barkow Leibinger, Nigerian architect Kunlé Adeyemi, Paris-based architect Yona Friedman and English architect Asif Khan. All of the designs play off of Queen Caroline's Temple, a nearby 18th-century Neo-Classical garden folly. Khan’s design is a series of undulating timber spikes, while Yona Friedman has put forth a modular design meant to reference how cities grow, a reference to his La Ville Spatiale. Barkow Leibinger’s design references a now-demolished building that once sat on the site. Adeyemi references the folly in a void-like negative impression. Tokyo-based architecture firm SANAA has won an international competition to design a new modern wing for the Art Gallery of New South Wales in Sydney, Australia. The firm beat out the likes of David Chipperfield, Renzo Piano, and Herzog & de Meuron for the commission, know as the "Sydney Modern Project." 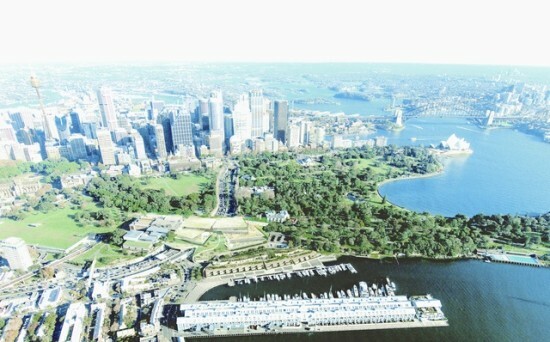 https://www.youtube.com/watch?v=_sNbYB-YYak The $450 million scheme includes the creation of an entirely new building comprising three grass-topped pavilions set on existing parkland. This will double the size of the existing gallery. 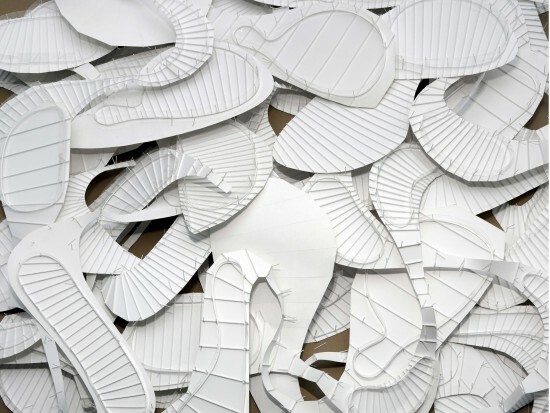 “We proposed making a number of plates, each containing a gallery,” SANAA's Kazuyo Sejima told ArchitectureAU. “The plates sit along the topography. So every plate has a slightly different relationship to nature.” SANAA will also be implementing strategies to increase daylight within the gallery's current 19th century home. Those involved in the selection process praised SANAA's scheme for the way it subtly adds to the gallery without dominating its existing building or the adjacent open space. SANAA's design will be refined over the next year, and is slated to be completed in 2021—just in time for the gallery's 150th birthday. 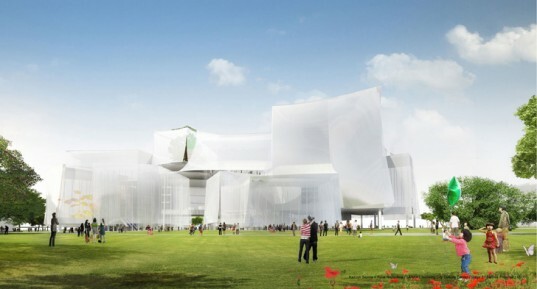 SANAA, together with Taiwanese studio Ricky Liu & Associates Architects + Planners, have won a competition to design the Taichung City Cultural Center. The competition, which was announced last May, asked participants to design a complex that would not only include a new public library and fine arts museum, but would form a dramatic entryway to the the city's Gateway Park. Located at the north end of the park, SANAA’s concept centers on interlocking white transparent volumes without rigid walls. The firm opted instead to use semitransparent fluid mesh curtains to spatially define and lighten the building and allow for more flexibility. The transparent curtains conceal elevated walkways, connecting to viewing platforms that look onto the complex and the city at large. A cavernous central atrium will provide a welcome point and meeting zone. 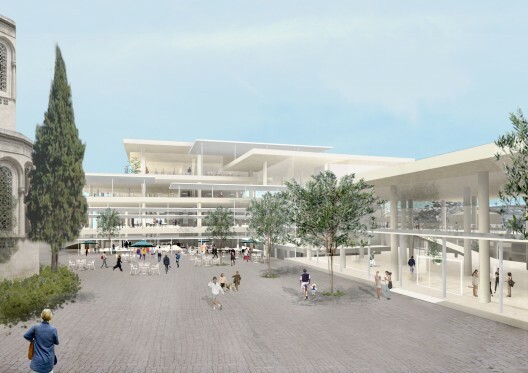 The center will also house permanent exhibition spaces, administration offices, exhibition space for special collections, multimedia resources, and quiet reading zones, rooftop terraces and education facilities. Other teams on the competition shortlist were Eisenman Architects, Swiss firm Stucheli Architecten, Korean firm MASS STUDIES, and French architect Jean-Loup Baldacci. The Architecture firm Sejima & Nishizawa and Associates (SANAA), in partnership with Israel's Nir-Kutz Architects, recently unveiled a proposal for a new 400,000 square-foot building for Jerusalem's Bazalel Academy of Arts and Design. The design of the new building aims to promote collaboration between the school's eight different—and currently separate—departments by housing them under one roof for the first time. There will be space for classrooms, studios, offices, two auditoriums, public galleries, and cafes. The building is made up of stacked horizontal slabs that mirroring the landscape of the ancient city. The interior features open, vertical spaces that let in optimal natural light and create visual as well as physical connections between departments. On the exterior, the slabs support terraces between floors. Ramps and staircases connect the terraces inside and out. The new $100 million campus will sit in historic Russian Compound, between the Holy Trinity Cathedral and the Museum of Underground Prisoners, overlooking the old city of Jerusalem. Situating the campus here was a decision made by Jerusalem's municipality, the Israeli government, and the academy in an ongoing effort to rejuvenate this downtown district into a cultural hub with a lively art scene and bustling street life. Construction is expected to begin at the end of 2014 thanks to a $25 million gift from the Jack, Joseph, & Morton Mandel Foundation. Completion is slated for 2017.